I bought a cover because I thought it had a cover on both sides, but I had a cover on only one side. Please specify the details. Made in China was also satisfactory, as long as it was clearly stated in the description. This review is about item#7019975. Electric canopy motor shaft. Bearing breakage exchange of cutting edge rotating shaft. To amateurs, it is difficult to obtain various kinds of bearings, it is impossible to put them for one aircraft. But Monotaro is abundant in stock with great help, thank you. This review is about item#7019957. Since one side is not sealed, I think that it is better to fill that thing. This review is about item#7019966. It is very helpful to search easily from the part number and easy to order. Since it was a maker item, I purchased it. I can get it cheaply and I am mostly satisfied. I think that I will use it again. This review is about item#07019957. It can be used without problems. Originally koyo's bearings were used, but this time I changed it to this product. It is very pleasant that manufacturers can properly purchase at this price. This review is about item#07020002. This review is about item#7019984. Because the stamp of the bearing to be removed was "NSK 6201 Z", we ordered it as it was, but the one that reached the shield on both sides was a one side shield type although the actual thing removed. The imprint of the thing that arrived was properly "NSK 6201 Z", and the explanatory note of Monotaro was also written as one side shield type. I do not know which is right, there are similar impressions by others, feelings are not refreshing. I think that attention is necessary for ordering. This review is about item#07019966. Bearing exchange inside motor of ventilator. When purchasing this product about 10 years ago, a cover covering the ball of the bearing was attached to both sides. However, the thing purchased this time was a type with only one cover. Cost down? That is, bearings are exposed on the back side. 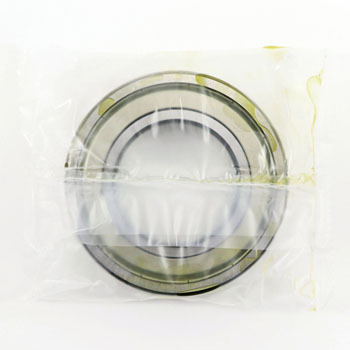 I will use it with a ventilator, so I am worried that oil will mix in the air and adhere to the ball of the bearing. I bought it because it was a thing of NSK, so it is regrettable. The Ito-NACHI bearing has double-sided cover (both steel seals).